You can create presentation on your computer without Internet connection. 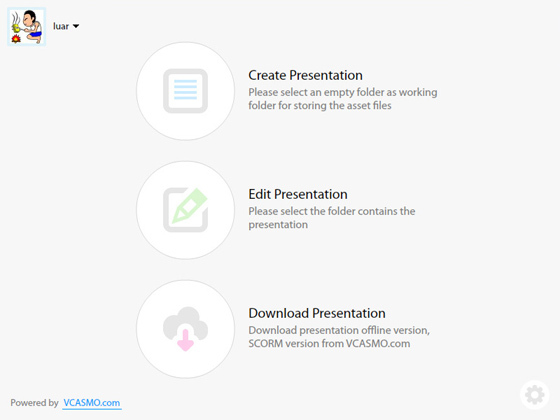 Store the presentations locally and upload them to VCASMO.com if you want to share them. 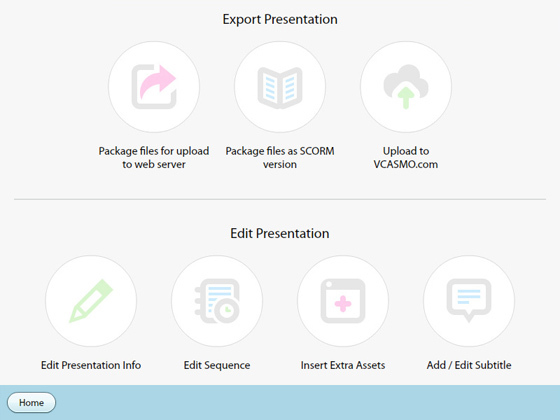 VCASMO presentation supports SCORM 1.2, it means you can upload VCASMO to Learning Management System (LMS). pro: do not need to depends on VCASMO, even VCASMO shut down, your courseware still function. con: no video streaming, if content is updated, you have to re-create SCORM package and overwrite content in LMS. pro: support video streaming, you can just update content in VCASMO, content in LMS will be auto updated. 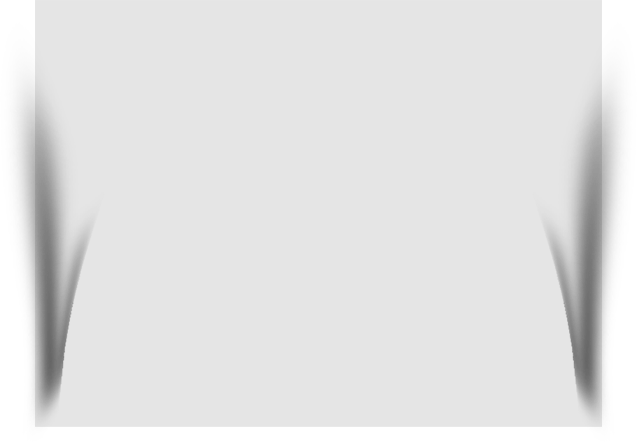 con: depends on VCASMO, if VCASMO server down, your courseware will not function.